We can all get a little protective when it comes to our fluffy friends. After all, they’re family! If you’re thinking about how great it would be to keep tabs on your puppy’s location, a GPS dog tracker can be an effective way to keep an eye on him when he’s not with you. If you’ve already got puppy micro chipped, a GPS dog collar or attachment simply takes this to the next level using geolocation technology. You can see the little one on a map and find him instantly! What exactly is a GPS dog tracker? How can a GPS dog collar make life easier? How do I attach a GPS dog collar? How do dog GPS trackers work? Are GPS trackers safe for dogs? Are GPS dog trackers legal? There are many different types of GPS dog trackers, and the key idea behind all of them is to keep your puppy safe by knowing where he is at any given moment. A GPS tracker for dogs offers you peace of mind if your puppy has a tendency to run off, or if you go on vacation and want to know what he’s up to. The main benefits of a GPS dog tracker lie in being able to know whether your puppy is safe and sound—or going through the neighbor’s trash! They’re very popular as a means of both training specialist breeds to hunt, but their main benefit to most puppy owners is just the ability to keep tabs on their little pups’ locations. A large number of GPS dog trackers now also provide more functionality than just GPS tracking. These include things like activity monitoring, logging his past movements and your walks together, and even setting up safety zones so you can know when little Fido has strayed a bit too far for comfort. A GPS tracker for dogs can help you locate your best friend if he gets lost by accident, and even give you an idea of how much more exercise he needs to do to stay fit! 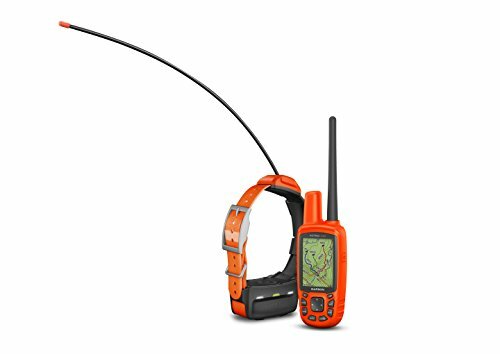 There are two main types of GPS dog trackers: GPS dog collars, and GPS trackers for dogs that you attach to their existing collars. These are ready-to-wear collars that have the GPS tech already embedded in them. Some come with docking stations or ‘base stations’ for charging, while others might require a USB cable instead. This kind of GPS tracker for dogs is an attachment to whatever collar he’s already wearing. They’re often lightweight, and sometimes come with pretty darn cute designs! 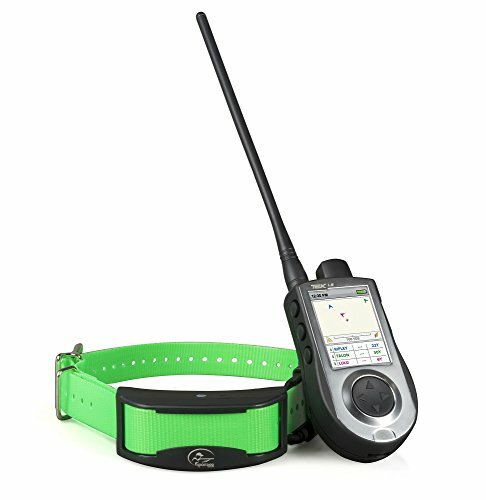 Some GPS dog collars and tracker attachments use cell coverage to locate your puppy. These have SIM cards and GPS chips built into them—a transmitter—that beams your little one’s location up to the cell satellites. The transmitter then sends an alert with your pups GPS details to your smartphone, either as a text, in the app, or by whatever means the different tracker supports. There are also radio GPS trackers for dogs. If you choose one of these, then radio signals will be sent between your specialized handset and your pup’s collar. The ones we’ve featured here also support GPS tracking through a little chip in his collar. 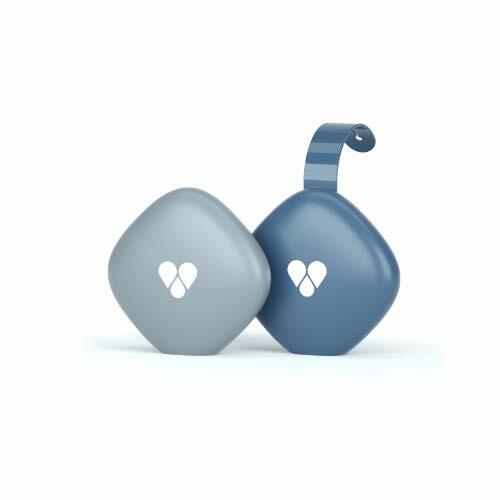 Lastly, it’s also possible to get Bluetooth trackers for your puppy. 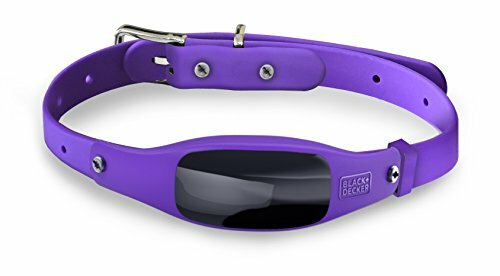 These are GPS dog collars or attachments that use Bluetooth tech between your smartphone and your dog’s collar or tag, so you can get GPS details that way. 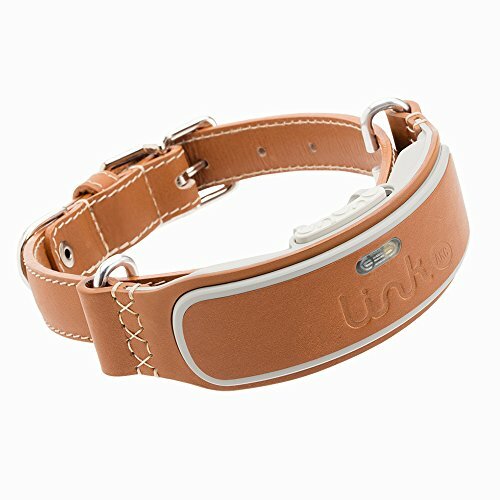 The Link AKC Smart Dog Collar comes either in classic leather or as a sports version made from reflective fabric. You can choose to get the Link as it is, or with service—which, among other things, allows you to change the size of your puppy’s collar as needed. It comes along with a charging base station and cord that means you can keep your phone full of juice, too! Lets you keep track of your adventurous walks together! The Ambient Temperature feature sends you alerts if your puppy’s somewhere that is potentially too cold or warm. Some users have suggested that the Link AKC GPS dog tracker may not be as accurate as some other trackers when it comes to measuring your puppy’s physical activity. Available in handsome brown or black, this GPS Tracker for dogs will make your puppy look as gorgeous as he feels. We’ve heard all good things about the GPS tracking functionality, and the Link works with iOs and Android apps. Whistle’s probably one of the best-known names when it comes to GPS dog trackers. Simply fix it on to your puppy’s collar and it uses cell tech, as well as the coverage area of Verizon. 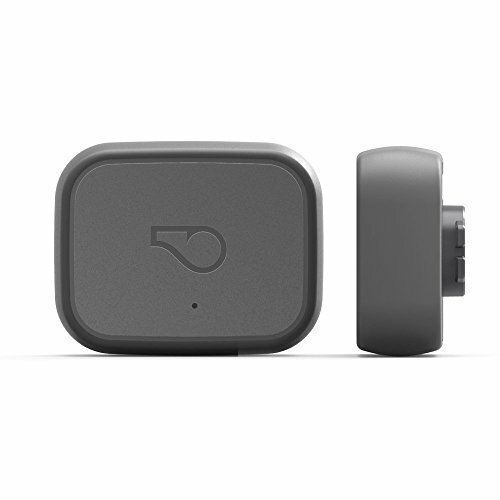 Because the Whistle 3 relies on GPS tracking, it means you need to sign up for a plan and/or subscription. All around great reviews for the Whistle 3 when it comes to things like being able to set up the app on several phones, coverage, and battery life. A GPS dog collar with two-way audio? Actually, yes! The Black and Decker GPS tracker for dogs lets you call your puppy from home and listen to their little puppy barks in response. Comes with two-way audio so you can communicate with your puppy from a distance. The audio isn’t very high quality, apparently. It’s probably very interesting to call your puppy from the car, and the Black and Decker Smart collar lets you do just that. Which could be good for puppies who get separation anxiety. If you mean serious business, the Garmin Astro’s designed to be a top-of-the-line GPS tracker for dogs. The high initial cost is totally justified if you’re after a whole array of serious functionality, from pre-loaded mapping to a 9-mile radius for tracking your pup. You can keep abreast of the different distances traveled, behaviors, and hunting patterns with the Hunt Metrics data. Radio communication only works within the States. The Garmin Astro is a perfect GPS tracker for dogs, if you’re training them to be great at something hunting. The pre-loaded mapping feature makes it much quicker to look at where your dog’s at in the US. The SportDOG GPS tracker for dogs is a high-end choice that uses satellites instead of cell coverage to find your puppy or dog. It comes with a nifty hand-held device that connects with your puppy’s GPS pet tracker to give you his location. This GPS tracker for dogs can be used for up to 21 dogs at once. It takes a while to recharge the collar, according to some sources. Another ideal option if you’re serious about keeping track of your puppy’s activity, location, and more. It’s great for active pups who like having a splash around and getting wet, and even tells you how fast your little one is traveling. 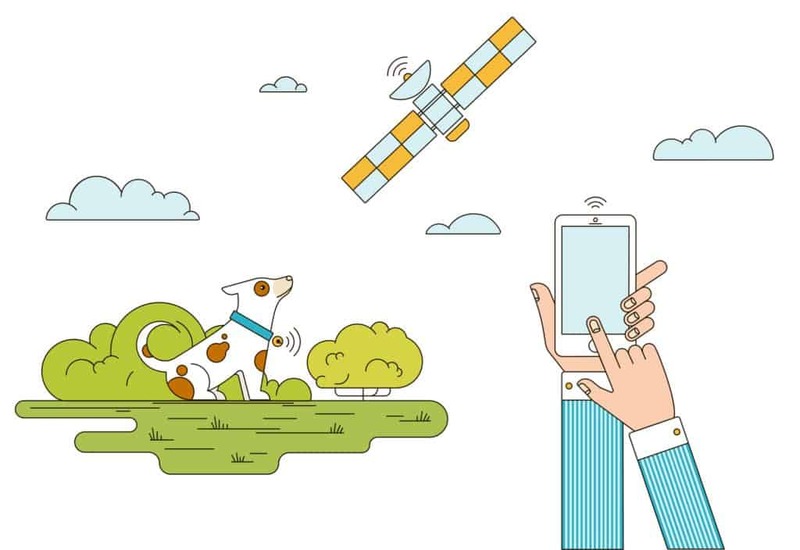 The Findster Duo requires zero subscription on your part, because you won’t need either cell cover or a SIM card in order to get the GPS coordinates for your puppy. It’s able to work in any international country, and for a GPS dog tracker, it’s an economical choice given that it has zero monthly fees. Lets you revisit any walks that you and puppy have taken together…or that your little one has taken without you! There are some complaints about the battery life not lasting as long as 12 hours. If you like seamless tracking, the Findster Duo has plenty of good things to offer, from a wide range of coverage to activity monitoring functionality. However, the best thing about this clip-on GPS dog tracker tag is that it comes with zero monthly subscriptions, which can add up over time. 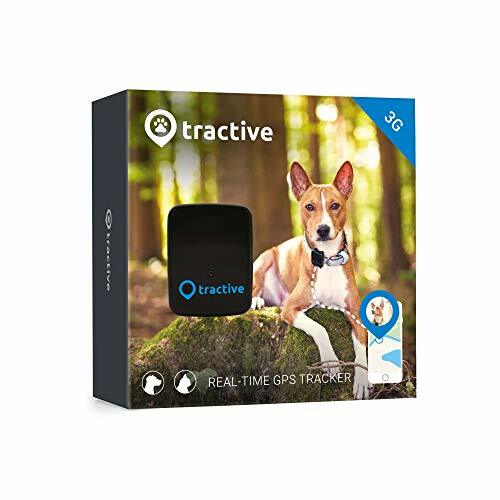 Waterproof and lightweight at only 1.28 ounces, the Tractive DPS dog tracker offers great location functionality and features in real time. The app interface is not entirely user-friendly. We like the digital ‘fence’ feature for updates when your puppy goes too far away. If he likes splashing around in puddles and stuff when you walk him, 100% waterproof is a good idea! This adorable real-time GPS dog tracker is shaped like a little bow-tie, and is one of the more economical key chain designs out there. It has a small speaker attached to it so you can more easily find your puppy if he’s already close by—in the dark, for one! It looks like a little bow-tie…CUTE! Has a relatively short battery life of around 72 hours in standby mode. 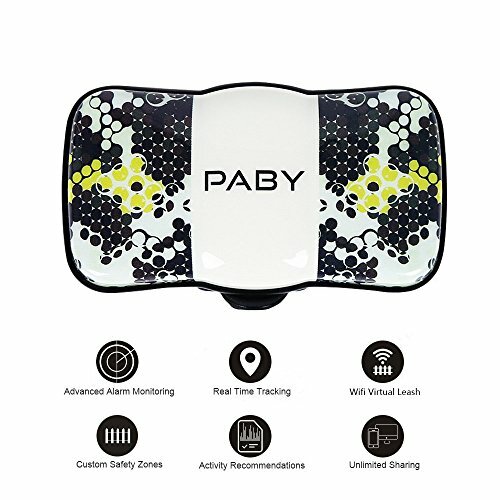 The Paby 3G GPS dog tracker is simply the cutest way to make your puppy look smart! It works with Android and iPhone and weighs very little at only 1.09 ounces. Dynotag is a great budget option, and is simply a puppy or dog tag with QR codes. When someone scans them using a smartphone, they’ll be taken to a web page for your puppy, and you’ll get his location info instantly. It’s super if you’re on a tight budget! It doesn’t offer advanced functionality like activity monitoring, if that’s what you’re looking for. This one’s a top economical or budget pick. 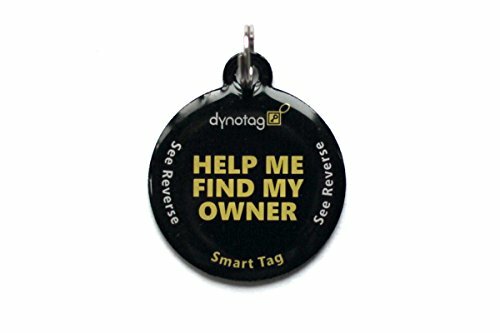 Those who aren’t 100% about switching to a full GPS tracker can attach the Dynotag to their puppy’s collar and try it out. It’s so light that your puppy will hardly be able to tell. With this GPS dog collar attachment, you’ll also receive a docking station, power kit, and more. 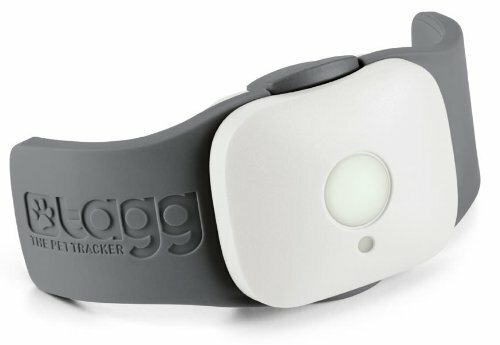 The Tagg GPS pet tracker is on the higher end of the scale, budget-wise, but offers a whole host of features including directions to your lost puppy! Lightweight, making it good for smaller puppies. Tracking your pet isn’t continual, in the sense that you can watch a car move using GPS. Instead, you’ll need to press ‘Track’ each time you want to find your puppy. We like that it’s compact and well-suited to smaller dogs. Plus, it’s got quite a precise tracking range of a few feet, so you can find your puppy really quite accurately. GPS pet trackers are useful if you’re wanting to catch your roaming canine friend before he strays into any danger. If you live near a busy road or somewhere that he might upset the neighbors, a GPS dog collar or attachment-type tracker can help you get to him quicker. They’re essentially no more unsafe for your dog than wearing a smartwatch or FitBit might be for you personally—but they keep him safe from wandering off or getting lost. A GPS tracker for dogs is a totally legal way to keep tabs on your fluffy buddy, at least here in the States. In fact, a lot of owners find them a very useful addition to microchips because they don’t require that someone take your puppy in to see a vet before he can be identified. In Canada and New Zealand, as well as some other countries, there may be different restrictions. It’s best that you check online with your local authorities, first!